*NEW! 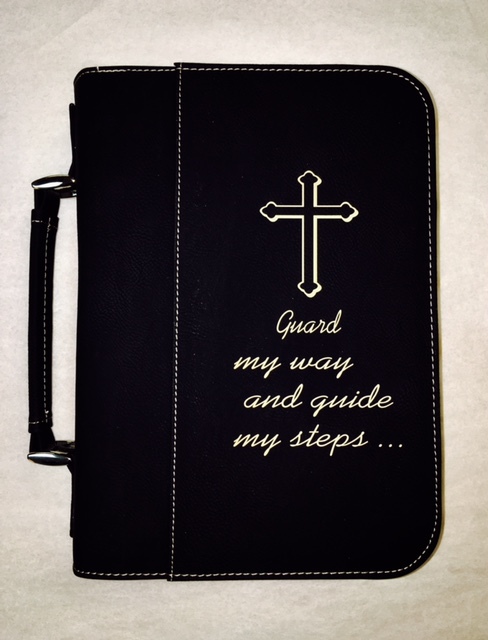 Black Leatherette Bible Cover. Size: 6-3/4" x 9-1/4". Laser engraved Cross and wording "Guard my way and guide my steps" is included in price.